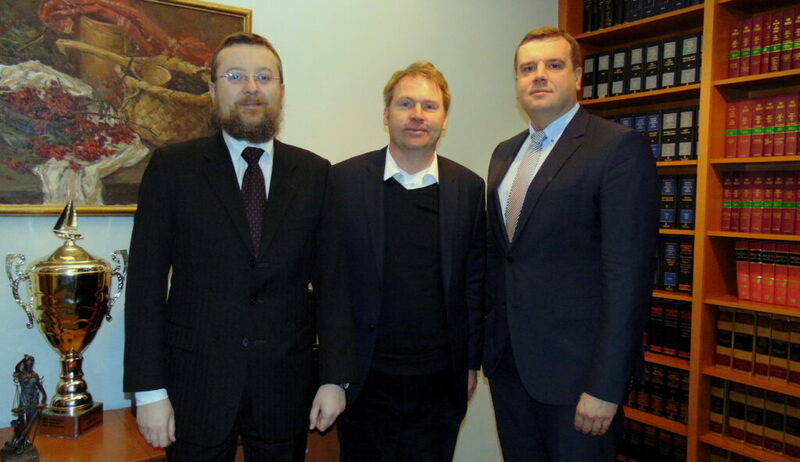 A meeting was held by leaders of the Warsaw Bar Association on 27 January 2016 with Marc Wesser, vice-president of the Berlin bar—Rechtsanwaltskammer Berlin. Participating in the event on the Polish side were Włodzimierz Chróścik, dean of the Warsaw Bar Association, and attorney-at-law Mariusz Maciejewski, chair of the association’s Continuing Education Committee. The Polish attorneys gave a presentation on the structure and activity of the Warsaw Bar Association. The discussion also involved the possibilities for establishing cooperation between the two bar associations. The leaders of the Warsaw Bar Association proposed the signing of a cooperation agreement with Rechtsanwaltskammer Berlin and realization of joint integration and training initiatives. The Warsaw bar places particular importance on cooperation with the Berlin bar because Germany is one of Poland’s main economic partners. There was also a discussion of the possibilities for cooperation between the mediation centres at the two bar associations. Marc Wesser will present a summary and conclusions from the discussion to Rechtsanwaltskammer Berlin as well as the proposal to sign a cooperation agreement between the two organizations and to pursue joint initiatives. The leaders of the Warsaw Bar Association express the hope that cooperation with their Berlin colleagues will help support the work of Polish attorneys serving clients connected with the German market.